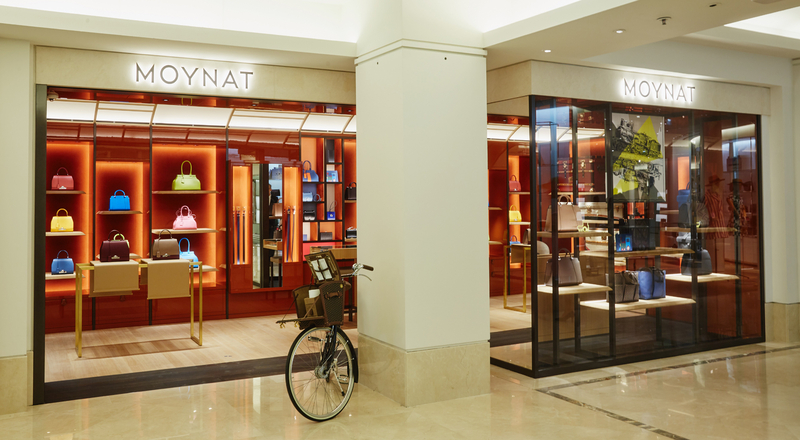 Established in Paris since 1849, Moynat has crossed the Seine for the first time, opening its first ever Left Bank store in Le Bon Marché. The “gallery” boutique is a tribute to Moynat’s discreet and elegant style. The shape of the Moynat “gallery” in Le Bon Marché – designed by architect Gwenael Nicolas, Director of the Curiosity studio in Tokyo – reprises the disctinctive curves of the brand’s Limousine trunk. The welcoming wood-toned space boasts a multitude of niches with leather finishing where Moynat creations are displayed like precious objects in a cabinet of curiosities. 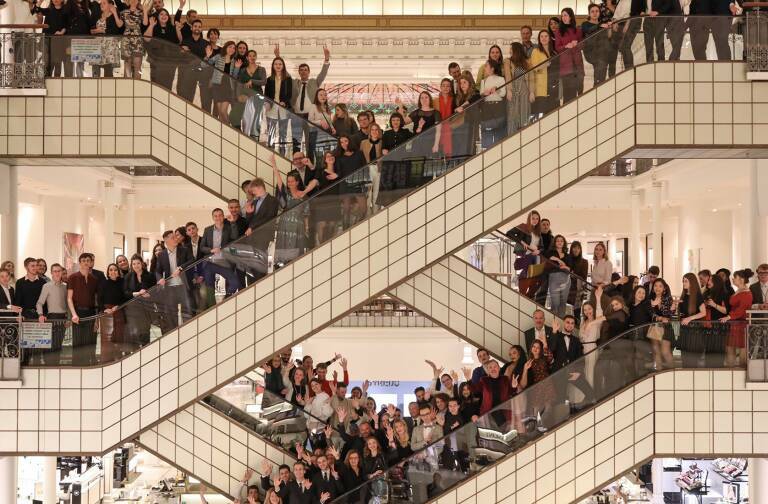 The refined elegance resonates perfectly within the walls of Le Bon Marché. “This is an elegant meeting of two renowned houses with virtually identical histories that share an inimitable Parisian spirit, houses dedicated to the pursuit of refined excellence and a meticulous attention to detail,” said Moynat President Guillaume Davin. To celebrate the opening, Moynat asked Atelier Franck Durand to shoot a series of portraits of influential contemporary Paris personalities. Revealed one after the other on Moynat’s Instagram account, they propose a promenade along the streets of the French capital with jewelry designer Elie Top, designer Louis Marie de Castelbajac and writer Natasha Fraser-Cavassoni, among others.